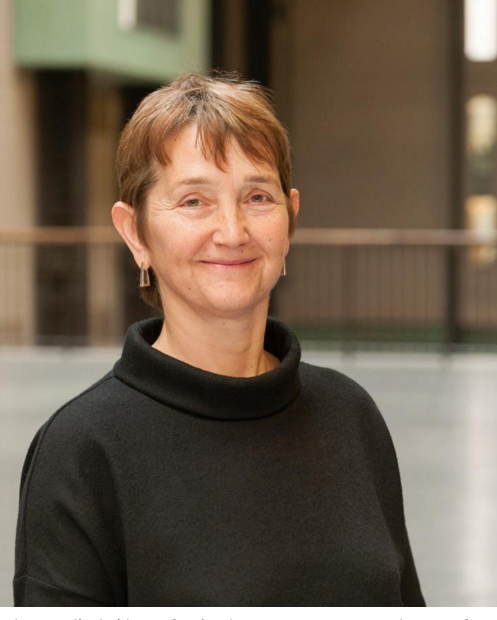 The Tate Modern gallery announced today that its new director will be Frances Morris, who has been with the museum in different positions since 1987, when she joined as a curator. Morris will take over for Chris Dercon, the museum’s current director, when he leaves later this year to head Berlin’s Volksbühne theater. In her time at the museum, Morris has helped it shape its exhibits and interests. She has helped bolster its collections of South Asian, Asian Pacific, and Middle Eastern art. She has also helped lessen the gender disparity so prevalent among the Tate’s collections, establishing three major retrospectives for female artists Louise Bourgeois, Yayoi Kusama, and Agnes Martin. The Martin retrospective will go to the Guggenheim in the fall. Morris, 57, studied History of Art at Cambridge University and at Courtauld Institute of Art, London. Though she joined as a museum curator, she became the museum’s director of collection for international art. Currently, she is on the board of directors at Edinburgh’s Fruitmarket Gallery, the advisory board of Porto’s Serralves Museum, and the advisory committee of CIMAM, a forum for museum officials to discuss the issues and challenges that face curators and art. “I am thrilled and excited to be appointed as director and look forward to taking on this new role at such an exciting time for the museum,” she added.